LONDON, UK — Baci Perugina, Nestlé’s iconic premium chocolate, is launching a Ruby chocolate variant in the UK exclusively at Sainsbury’s stores. The pink Baci Perugina Limited Edition is made with chocolate derived from Ruby cocoa beans, which offers an intense berry-fruitiness taste without the addition of any flavourings or colours. 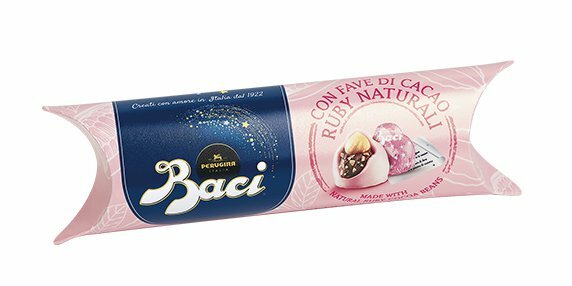 The pleasantly surprising fruity taste of Ruby chocolate is combined with the iconic smooth hazelnut and cocoa filling of Baci Perugina, creating a truly tantalising taste experience.